“FRAUD VITIATES EVERYTHING” (FVE) is the legal principle that, once it has been shown shown that one party has lied or committed a deliberate misrepresentation, their whole case is thereby compromised and no longer defensible in a court of law. Were that principle applied to the government’s case for 9/11, the demonstration of fraud and deliberate deception would warrant its dismissal in it’s entirely, since it’s entire case has been built upon nothing but fraud and deliberate deception. Here we are going to present ten examples of fraud and deliberate deception in relation to 9/11, five of which derive from the Pentagon, the other five from events in New York City. Given the principle that “Fraud vitiates everything” (FVE), each of these is sufficient, by itself, to warrant the dismissal of the official account of 9/11. 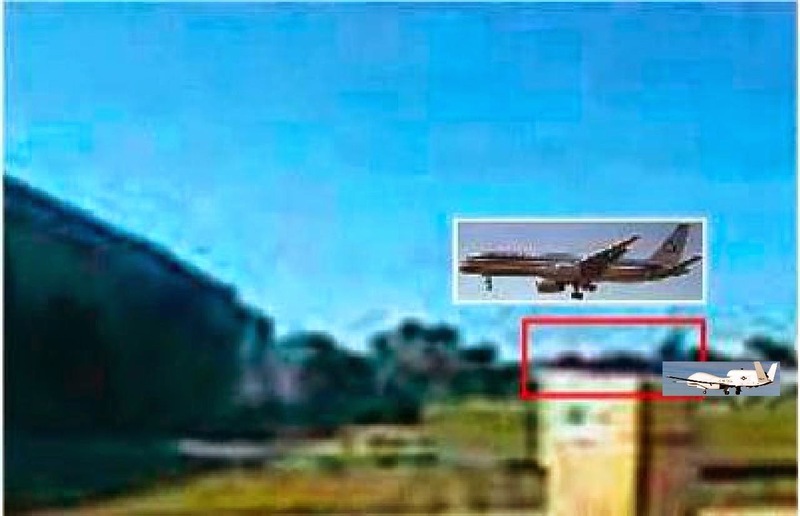 In the case of the Pentagon, they range from the relatively obvious–that the plane seen in the Pentagon frame labeled “plane” turns out to be too small to be a Boeing 757, but could be a Global Hawk delivering a missile to the building–to the far more subtle and complex case of the image that Frank Legge touts as his “conclusive proof”, which has been photoshopped–in the case of the Pentagon. In New York City, they range from the impossible speed and impossible entry of a Boeing 767 to planting an engine component that did not come from the plane to the impossible “collapse” of the Twin Towers and the blatant controlled demolition of WTC-7. These are “ten top” cases, which warrant dismissing the government’s case in its totality because of fraud and deliberate deception, where there are many, many more. There are dozens of arguments against the official account that a B-757 hit the Pentagon, which is a fantasy. They include that the “plane” seen in the Pentagon frame is too small to be a Boeing 757; that the “hit point” could not have accommodated a 100-ton airliner with a 125′ wingspan and a tail standing 44′ above the ground; that debris from a Boeing 757 which should have been present is not there–no wings, no fuselage, no seats, no bodies, no luggage and no tail–where not even the engines, which are made of titanium and steel, were recovered; that one piece of debris, which did come from a Boeing 757, has been traced back to a crash in Cali, Columbia, in 1995; and that the smoke observed by members of Congress rushing out of the Capitol came from a series of enormous dumpsters, a blatant act of fakery. When the image of a Boeing 757 is sized to the tail of “the plane”, it turns out to be more than twice as long as what the frame shows, which means it cannot possibly be a Boeing 757. But, as Dennis Cimino has observed,it could have been a Global Hawk, which may have fired a missile into the building, where the white plume is not from the exhaust of any jet engine but from the solid-propellant engine of a Maverick. The fragile composition of the Global Hawk would have made it an ideal delivery system, since it would have been obliterated into tiny parts upon impact with the Pentagon. Since these fire trucks arrived after the crash and spent fifteen minutes or so putting it out, I have been struck by the clear, green, unblemished Pentagon lawn. 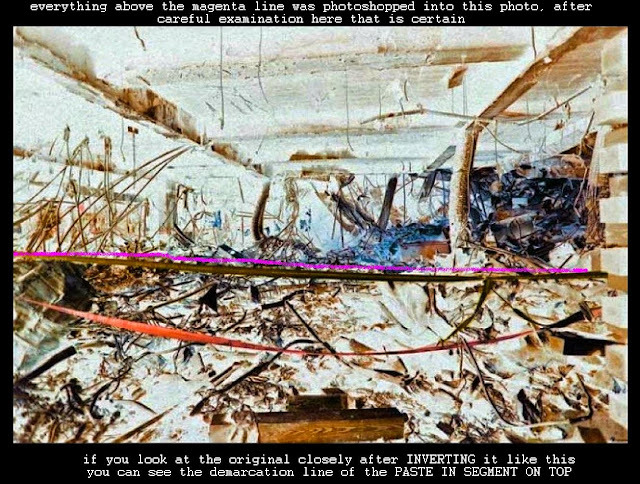 There is no indication that a Boeing 757 hit the building–NONE! Nor in any of the other photographs we have featured about the Pentagon. And, as Dennis Cimino has observed, if a plane had flown into the building, then why are these supports blown outward? No plane hit the building. One of the oddities about this debris is that it shows no signs of having been involved in a violent crash or exposed to the intense heat of those fireballs–and it includes a piece of vine. Another student of the Pentagon, James Hanson, a newspaper reporter who earned his law degree from the University of Michigan College of Law, has traced that debris to an American Airlines 757 that crashed in a rain forest above Cali, Columbia in 1995. “It was the kind of slow-speed crash that would have torn off paneling in this fashion, with no fires, leaving them largely intact.” That this piece was on the Pentagon lawn is an obvious case of fraud and deliberate deception vitiating the official account. When I was still living in Duluth before my retirement in June of 2006, another student of the Pentagon came by and showed me forty-four (44) more frames of the same thing, where you could actually see light between the dumpsters and the building. If a plane has actually crashed there, it would not have been necessary to fake fires coming from the Pentagon, which appears to have been contrived to induce members of Congress to support requests for new funding Donald Rumsfeld would present the next day–another instance of fraud and deception vitiating the official account. Even closer examination in the debris field mostly in the upper half shows demarcation lines of cut and paste having been performed in more than one area inside it. 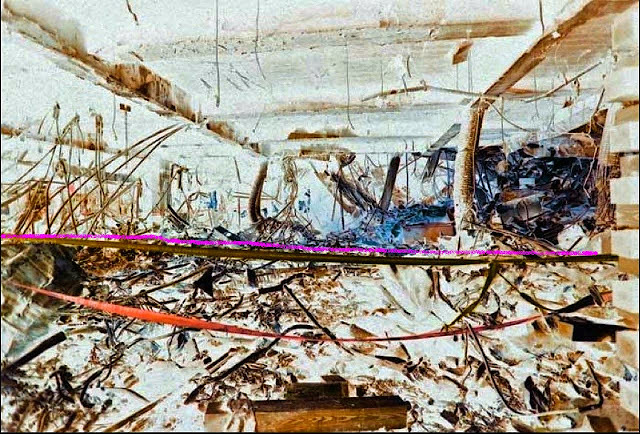 In his original upper ceiling beam (left-hand side), you can see where they pasted in over the beam to obfuscate something that happened on the beam itself in an attempt to hide that from us. The shading of the reverse “E” area shows, beyond any doubt, that this photo was heavily retouched and altered. That this photo was shopped may or may not have been something of which the Journal of 9/11 Studies was aware when it accepted his article for publication. But that means its vaunted “peer-review” process, upon which Steven Jones has placed so much emphasis, failed in this instance. As I have explained elsewhere,Jones also advocates an inadequate mode of scientific reasoning, which means that the procedures he endorses as “scientific” are not those that properly qualify. 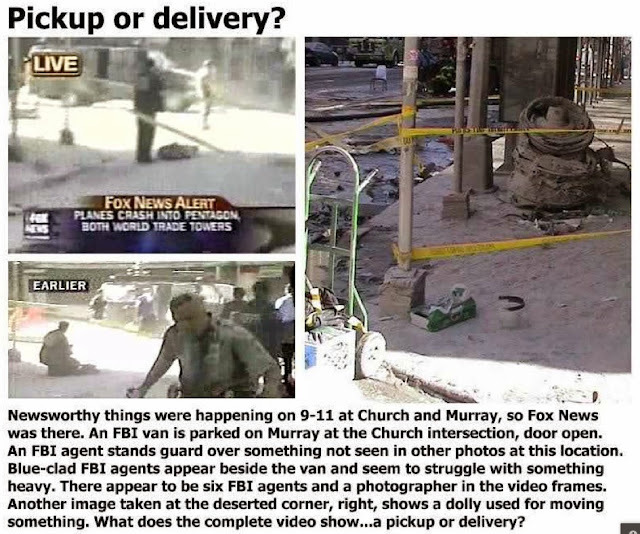 But something is terribly wrong when a faked photo appears in the Journal of 9/11 Studies. Indeed, as John Lear, perhaps our nation’s most distinguished pilot, has observed, the plane in these videos does not even have strobe lights, which are required of every commercial carrier. But how can a Boeing 767 possibly travel at an impossible speed (as Pilots for 9/11 Truth has confirmed), where the estimates of its speed run as high as 560 mph or more, which is aerodynamically impossible at the altitude of 700-1,000′ at which this flight trajectory was taking place? 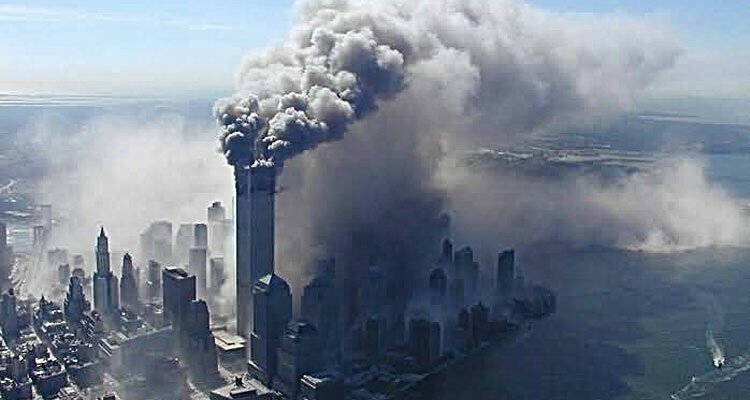 The footage of the South Tower hit exemplifies several anomalies, including a Boeing 767 flying at an impossible speed, an impossible entry into the building (in violation of Newton’s laws), and even passing through its own length into the building in the same number of frames it passes through its own length in air—which is impossible, unless this 500,000 ton, steel and concrete building posed no more resistance to its trajectory in flight than air. Some have claimed that this was a “special plane” that could fly faster than a standard Boeing 767, but no real plane could violate Newton’s laws. The structure of the building, moreover, meant that it actually intersected with eight different floors. Each of those floors consisted of steel trusses connected at one end to the core columns and at the other to the steel support columns. No real plane–commercial, military or otherwise–could enter a steel and concrete building in violation of Newton’s laws, pass through its own length into the building in the same number of frames that it passes through its own length in air, and not have its fuel explode as it makes contact with that massive edifice. 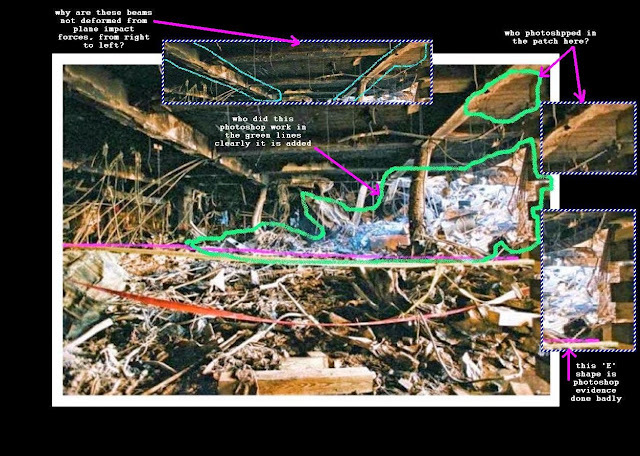 Even the frames from the Pentagon show a huge fireball upon impact. If that was true of the 757 there, why is it not also true of the 767 here? And no real plane could have passed through and its nose come out the other side. It looks as though the fabrication of Flight 77 fakery was just a bit better than the fabrication of Flight 175 fakery. But both involved massive fraud and deception. Since this is the wrong engine component and was off-loaded as a prop, how can anyone be so gullible as to believe that it supports the official account, especially when its under a steel scaffolding and sitting on a sidewalk, where if something that massive had hit there at high velocity (having come from the South Tower as alleged), it would have been buried half-way into the concrete, not sitting on top of it? There is even a dolly present, which–although not heavy-duty–may have played a role in moving it from the white van to its location on the sidewalk. This a blatant case of deliberate deception and fakery that completely vitiates the official account. The claim that the jet fuel from the plane strikes burned so intensely it caused the steel to weaken cannot withstand critical scrutiny. The steel used in the building was certified by Underwriters Laboratories, Inc., to 2,000*F for three to four hours without suffering any adverse effects. NIST studied 236 samples of steel and found that 233 had not been exposed to temperatures above 500*F and the other three not above 1,200*F. Plus the fires in the South Tower lasted less than an hour, in the North less than an hour-and-a-half. The fires burned neither long enough nor hot enough to affect the steel. It was physically impossible for them to collapse. As Jesse Ventura has observed, propane burns hotter than kerosene (the constituent of “jet fuel”), yet his camping stove, which is made of steel, does not melt when he uses it on a camping trip. Far from collapsing, both buildings are being blown apart in every direction by enormous sources of energy, where they are being converted into millions of cubic yards of very fine dust and, when destruction is complete, there is no massive pile of debris in their footprint, which is a classic sign of a building’s collapse. Unlike WTC-7, the Twin Towers did not collapse, which means that the official account characterizing them as having “collapsed” is another blatant fabrication and deliberate deception. The principle that fraud vitiates everything devastates the official account of 9/11, which, by virtue of appealing to 19 alleged collaborators (plus a guy in a cave in Afghanistan), itself qualifies as a “conspiracy theory”, which is the most outrageous and easily disproven. Nothing we have been told by the government can be trusted once we realize they are no longer acting in good faith but are instead perpetrating “reality fraud” upon us, the people. The challenge then becomes to do our best to get things right. If 19 Islamic fundamentalists had hijacked airliners and committed these atrocities, there would have been no reason to plant and fake evidence, which demonstrates guilty demeanor and makes the government complicit before and accessory after the fact. 9/11 was a blatant “False Flag Attack”, which puts the ball in the American public’s court to create a grand jury to indict members of the Bush/Cheney administration and make them talk, where a good place to start would be the cell-phone faker, former Solicitor General, Ted Olson. Because until the American people reclaim reality by actual investigation/verification, we will continue to be mislead and manipulated by one administration after another, as we have been discovering with Biden and Obama.